Steve is back with his first solo offering since 1990's Big Map Idea. For the uninitiated, this Minnesota guitarist's music is truly in a league of its own, anything from a swirling maelstrom of multitracked guitars, hand drums, kalimba (though not featured on this album), tape-loops and percussion, to ethereal quiet acoustic guitars in dissonant interference patterns (typified by 1982's Northern Song). On this release, ideas are frequently worked out behind backdrops of heavy feedback, voices, and under heavier-than-usual percussive assault; for those familiar with his earlier work, the intensity here is comparable to his 1986 offering Exploded View, yet with greater variation and refinement. Marc Anderson, percussionist with Tibbetts since the late 70s, is featured more prominently here than any other album to date. In a very free form and seemingly unstructured way, each track connects a series of moments related only by abstract sonic textures, yet every one of the album's eleven titles has a distinct focus, with its energy concentrated in that area. 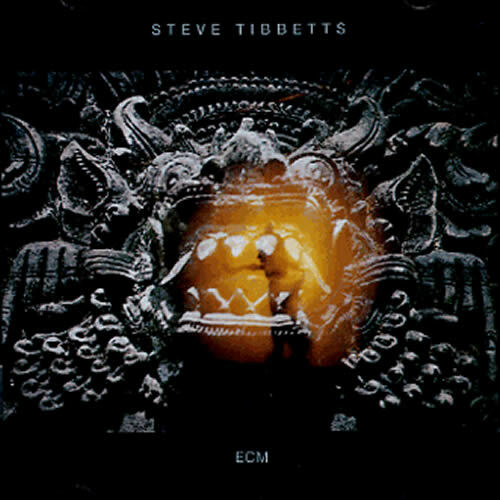 This music is challenging, yet not difficult; those who are not familiar with Tibbetts' music may require a few listens before its subtleties are appreciated, yet this album is probably as good a place as any to start. Its only fault - and only a fault in the overview of all of Tibbetts output - is that this album only further refines the styles he embarked on almost ten tears ago, and doesn't really reach out into any new and unexplored territory. Once a master of unpredictability, there is plenty of great music here, but no major surprise.